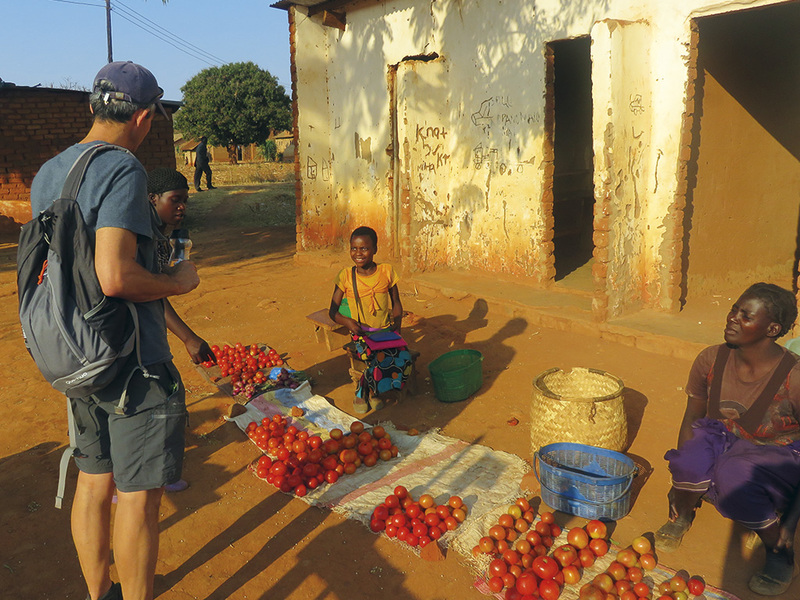 When Nigel and Vicky Milne first visited Malawi in September 2012, two things struck the dentist couple from Dunoon almost immediately – the appalling level of poverty and the incredible warmth and friendliness of the Malawian people. Nigel admits from then on, “there was really no turning back”. 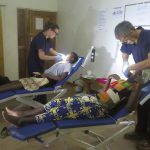 The Milnes have visited the southeastern African country every year since and, what started out ‘as a dental project within a larger charity, has, this summer, become a charity – Smileawi – in its own right. Nigel and Vicky Milne met while studying at the University of Glasgow, Nigel graduating in 1986 and Vicky in 1988. 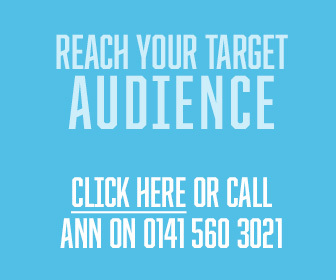 They were married in 1986 and they both moved to Dunoon in the early 1990s to work at the Hollies Dental Practice. Nigel became a partner in 1991 and Vicky in 2005 when Nigel’s business partner Robin Brechin died in a boating accident. They had both long been interested in using their dental skills to do some charity work but, with a busy practice to run and four children to raise, time was in short supply. However, a year before their youngest son left for university, one of Nigel’s patients, John Challis, mentioned that his own son had designed and built a dental surgery in Malawi and that Nigel and Vicky should go out and give him some advice on how best to run it. Unfortunately, as the Milne’s son Ben was still in school, the time wasn’t quite right – but the seed had certainly been sown. 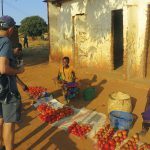 The Raven Trust is a well-established charity providing help to the people of Malawi, one of the poorest nations in the world but nicknamed the Warm Heart of Africa. For its population of 11 million, life expectancy is just 39 for men and 44 for women. The Raven Trust arranges regular transports – the 100th container arrived in April this year – containing gifts, donations and vital equipment for communities throughout the country. It was also a steep learning curve in terms of treatment as their initial dream of “taking Scottish dentistry and moving it out there” quickly became untenable. 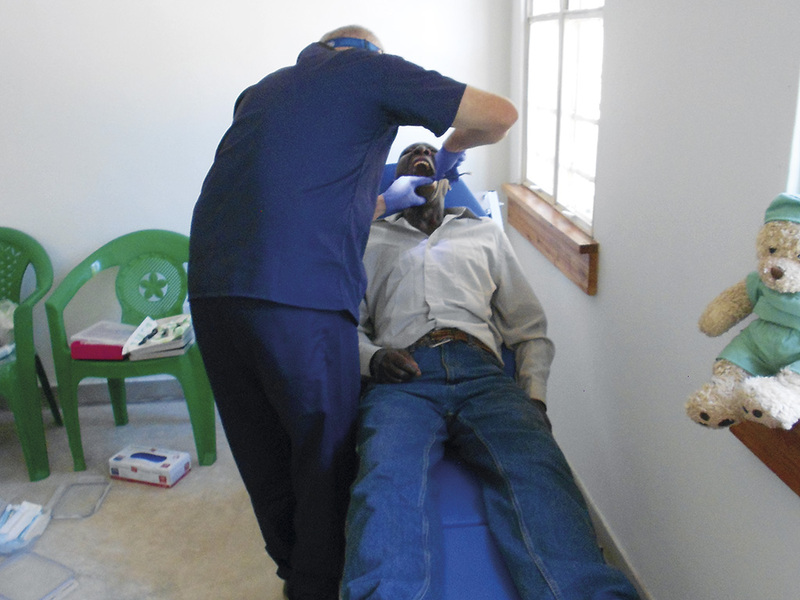 He said: “When we set out we thought we’d do a preventive programme and that we’d be restoring teeth. But the truth of the matter is, what we now do is pain clinics. We take people out of pain and they are very grateful for that. Their visit in September last year was the fourth time the Milnes have been out to Malawi and it was the first time they had taken out a larger team. 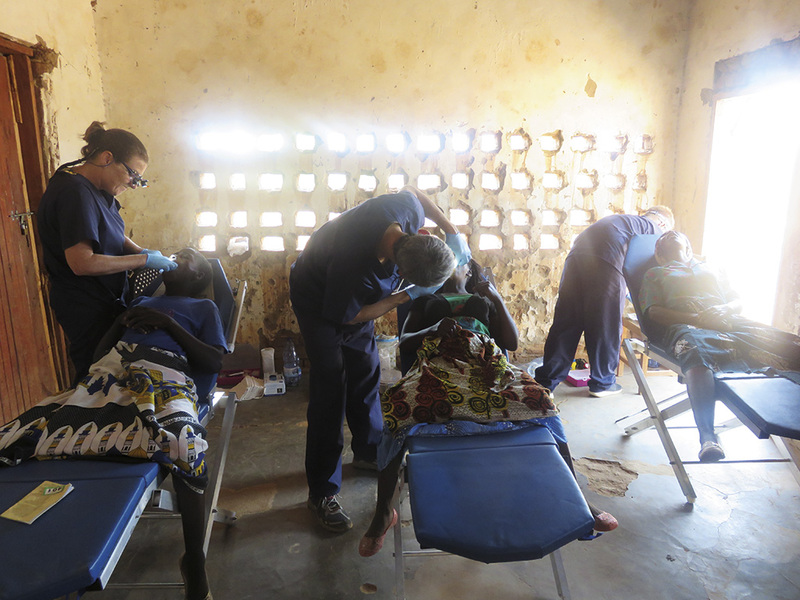 Three dentists and two DCPs joined Nigel and Vicky for a two-week visit during which they carried out pain clinics at a number of sites and held the third Smileawi Dental Conference with the local dental therapists. Nigel explained: “The original conference was a huge success and was at the suggestion of John Challis. 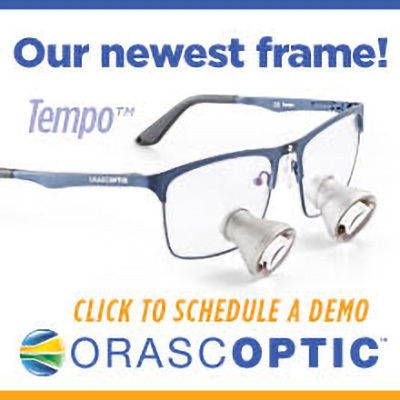 Since that time it has grown rapidly from five therapists attending from the north to 21. The conference gives the therapists a chance to talk to each other and to present the work they are carrying out. Many of them present on interesting or difficult cases. The local therapists in the north of Malawi have also started their own dental meeting where they sit down and discuss the issues they are facing and talk about what they want to bring up at the main conference in September. Smileawi provides the venue and travel expenses for both meetings and Nigel believes giving these guys the benefit of their training and experience is very worthwhile. He said: “There are around 24 therapists in the north and, when you think about the population, they need thousands. I can’t see us getting there, but if we could even get 10 times that number, what a difference that would make. “They are very hardworking and the more of them there are, the more you can get out into the rural areas and make a difference. There is no way of getting transport from the rural areas if you don’t have money. And if you live in a rural area, the likelihood is that you don’t. You can’t get to a city or a large town, you have to walk. And if it is more than a day’s walk, where do you stay? 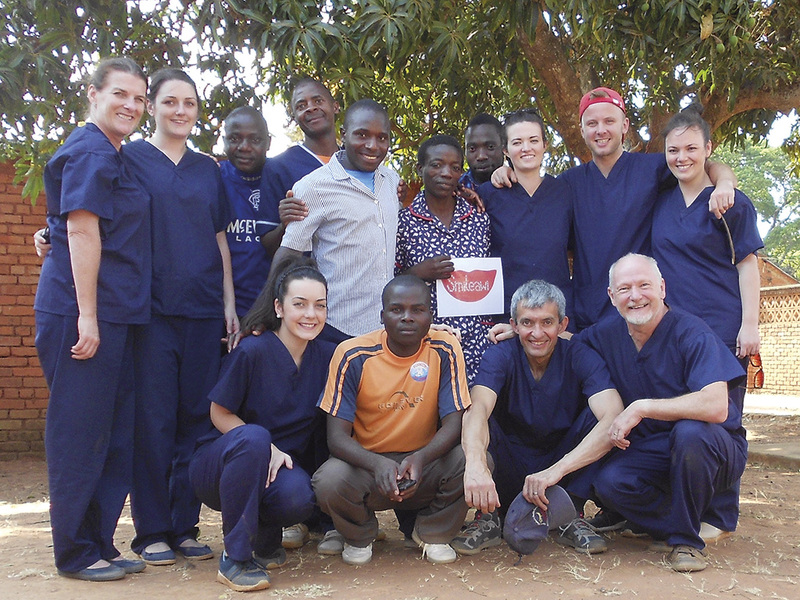 While running pain clinics and supporting the existing therapists has been the mainstay of the charity thus far, the charity has started funding a young Malawian, Lusekero Kyumba, as he aims to train as a dental therapist. Lusekero was working as a translator in the hospital in Livingstonia and Lynn Dowds, one of the UK doctors, mentioned to Nigel and Vicky that he was interested in dentistry. Smileawi went on to pay for him to finish his secondary education and he has recently passed all his exams. 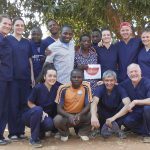 Nigel explained that, in return for funding his dental therapy education, Lusekero has agreed to return to northern Malawi, where he has family, and work for a minimum of five years in that area. And in terms of the charity’s potential, Nigel explained that they are currently working on a 10-year plan for the future of Smileawi now that they are a charity un their own right. 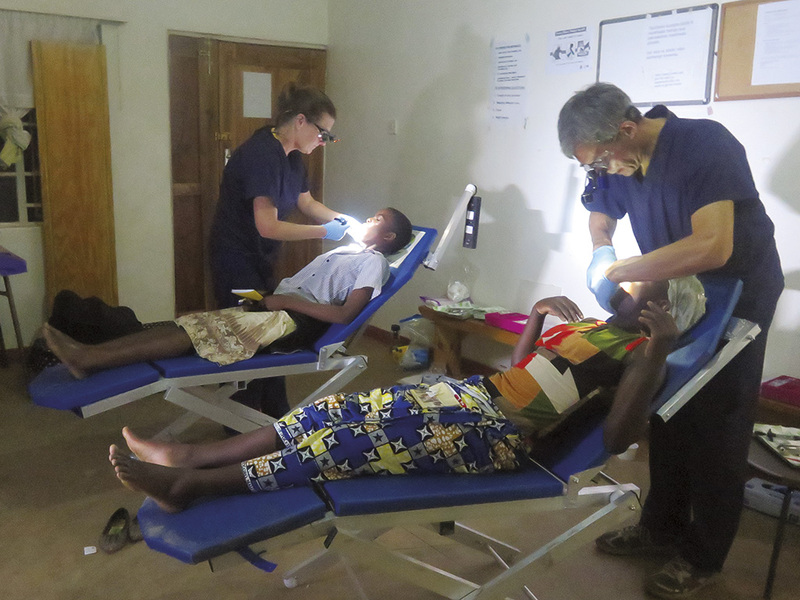 He said: “We will still be working closely with the Raven Trust as they will still be arranging our accommodation and transport when we visit and they will continue to transport dental equipment and supplies out to Malawi along with the rest of the goods they take out on a regular basis. This was a sobering thought but, rather than putting them off, Nigel said, it made them even more determined to make a difference in the field of dentistry. 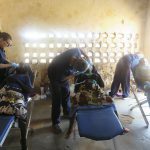 If the Malawian government is not in a position to prioritise oral health then it showed the importance for a charity like Smileawi to meet that need. 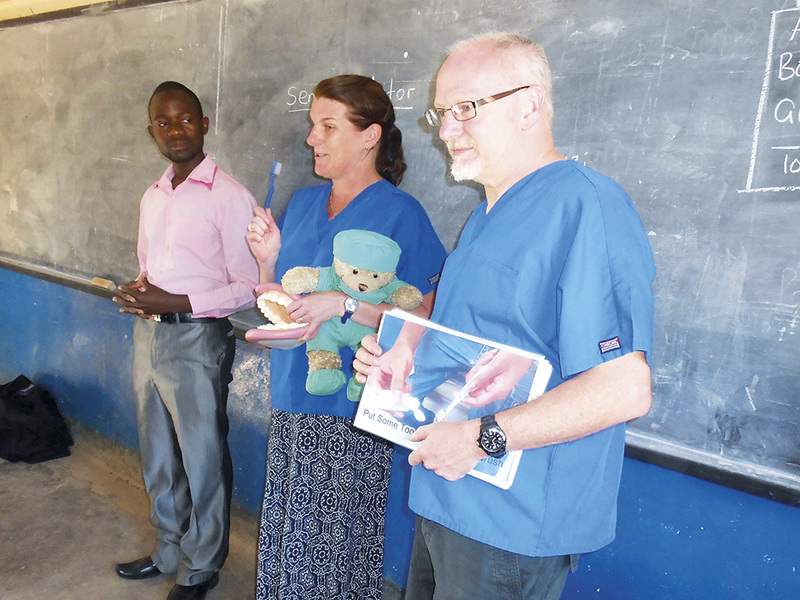 Nigel also argued that the numerous challenges faced by the small dental profession in Malawi provides a health dose of perspective when Nigel and Vicky return to these shores. He said: “I’m not saying I don’t still get frustrated by things every now and then, but I am able to remind myself that I’m lucky enough to be born and be doing what I’m doing here.